Use of Artificial Urinary Sphincter and Slings to Manage Neurogenic Bladder Following Spinal Cord Injury—Is It Safe? As an examination of available literature, this review summarizes the use of artificial urinary sphincters and urethral slings in patients with spinal cord injury and neurogenic bladder. A majority of studies are small and retrospective in nature. Study populations are frequently non-randomized with mixed etiology, including those with and without spinal cord injury. Sphincter use has been infrequently studied in females and remains the gold standard in males. New directions in research describe the use of robotic implantation to decrease complications. Artificial urinary sphincter use in patients with spinal cord injury appears to be relatively safe. They achieve continence in most patients (89%, range 23–100%), though on review have high removal and revision rates. These are typically due to infection, erosions, and mechanical failure. 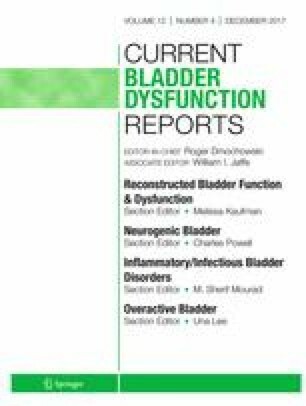 Synthetic and autologous slings are described with continence rates of 33–90.9% and reoperations due to erosions occurring with a 3–11% rate. Drs Scott, Tonzi and Nikolavsky do not have any conflict of interest.